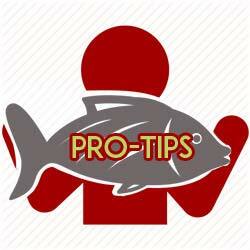 When you charter a top Costa Rica fishing captain, you’re pretty certain to catch fish. Here’s an idea of what the fishing here has been like over the past few days. We start off with a coveted Grand Slam earlier this week. 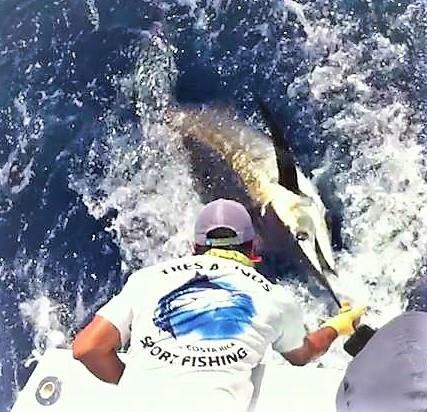 Anglers on the 38ft Tres Amigos with Captain Gregg Giampapa and mate Minamoto Yoshida out of Los Sueños Marina on Costa Rica’s Central Pacific coast went 2-3 on blue marlin, and released a striped marlin and two sailfish to accomplish the feat. 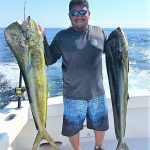 As a bonus, they also caught a lucky seven dorado (mahi-mahi). 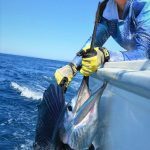 Then we move up to Tamarindo on the North Pacific coast, where anglers on the 36ft Capullo with Captain Manuel Leal raised and hooked five sailfish and a couple of blue marlin. 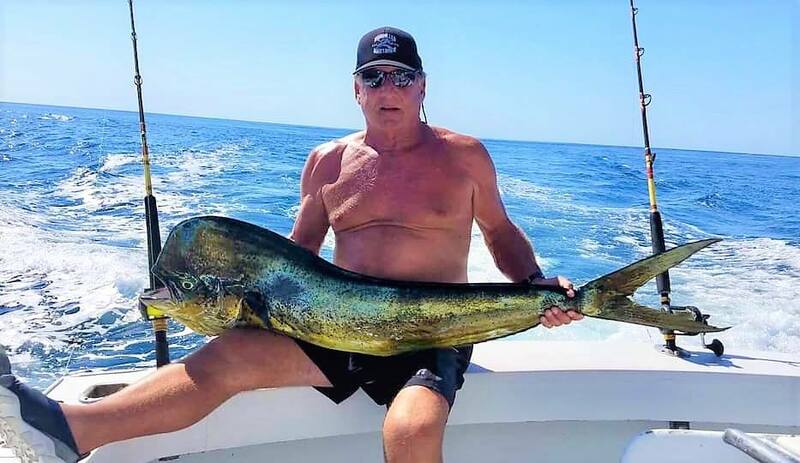 They also boated eight dorado. Back to the Central Pacific, this time Pez Vela Marina in Quepos. 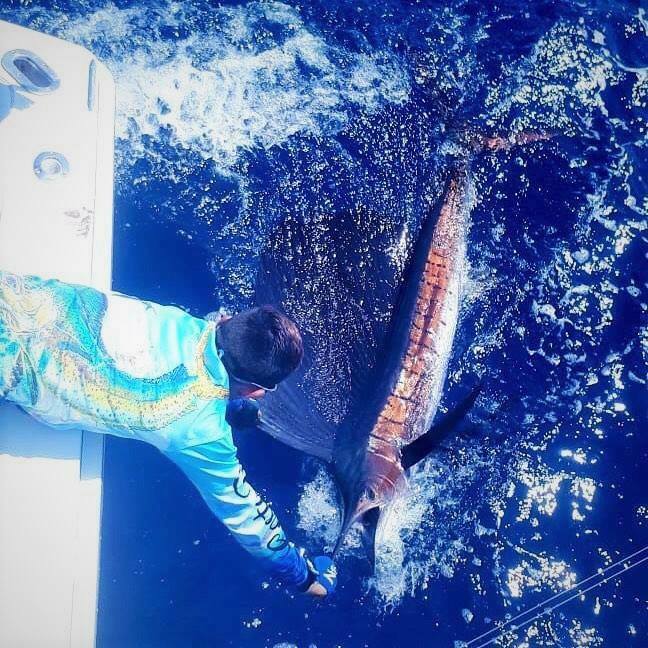 Anglers on the 31ft Gamefisher II with Captain Junior Bustos raised 10 sailfish, got eight bites and released seven. 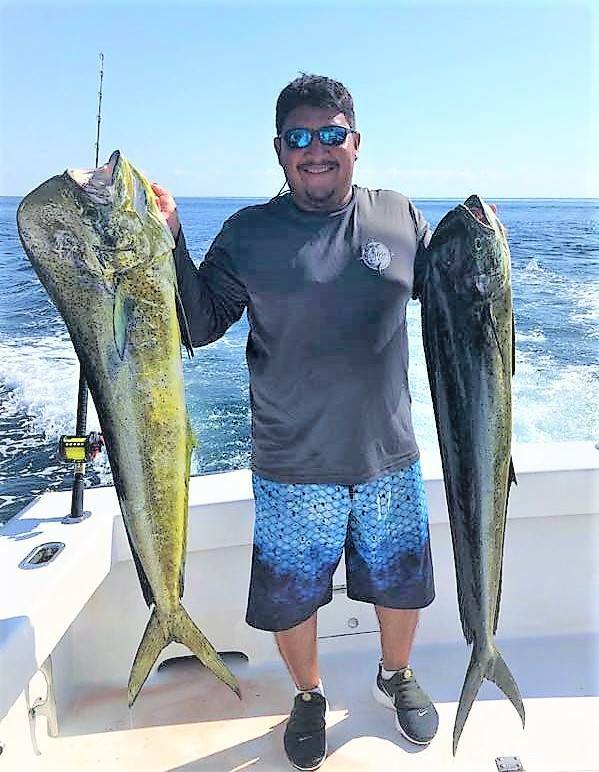 They also caught two dorado 15 and 20lbs, and a yellowfin tuna. 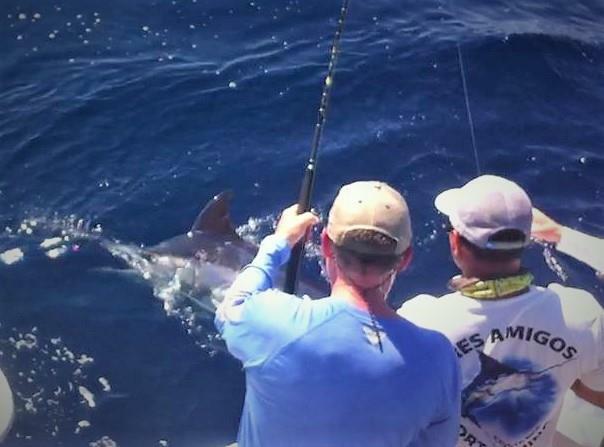 At Los Sueños, anglers with Captain Randall Garcia on the 31ft Go Fish went 5-6 on sailfish, and caught three dorado. Finally, a very satisfying mixed bag for anglers with Captain Glenn Morales on the 46ft CaribSea out of Pez Vela Marina again: this blue marlin, a sailfish, two dorado, and five yellowfin tuna. Contact us now. 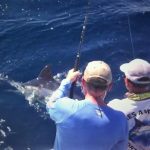 You can expect this and perhaps even more when you charter one of Costa Rica’s top sportfishing charter captains.